Colleges have traditionally placed students into developmental courses based on their performance on standardized tests. But research shows these placement tests are poor predictors of students’ success in college-level classes, and as many as one-in-three test takers is placed incorrectly. Most of the misplaced students are assigned to developmental courses that are below their ability and whose credits do not count toward a degree. As a result, these students encounter an unnecessary hurdle on their path to graduation and their progress is potentially blocked altogether. Meanwhile, studies have found that alternative measures such as high school GPA are significantly better predictors of which students will succeed in college-level courses. Combining high school GPA with other measures including state graduation tests, writing assessments, and noncognitive assessments yields more predictive power, according to the studies. 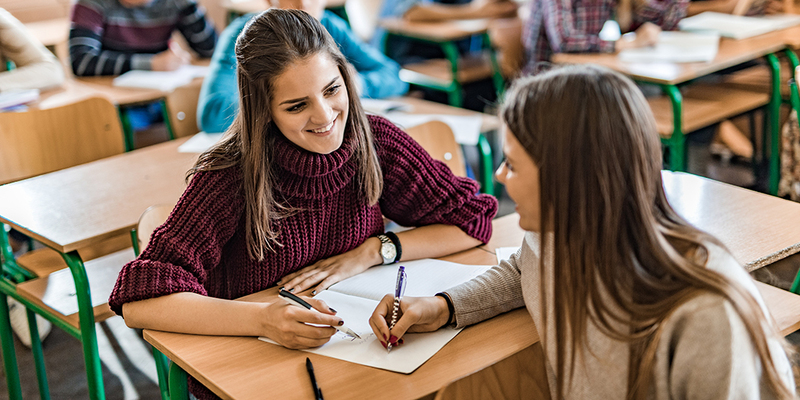 This approach, often called multiple measures placement, is gaining traction at colleges across the country, and more than half of community colleges use measures other than standardized tests to assess academic readiness. This brief, which describes the evidence for multiple measures placement and offers an overview of the types of multiple measures placement systems used across the country, is the third in a series produced in conjunction with the Education Commission of the States. 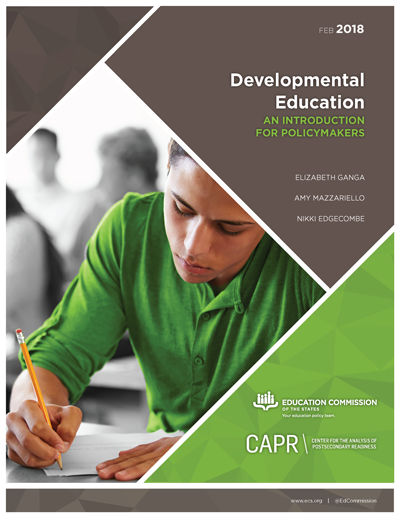 The first installment is Developmental Education: An Introductory for Policymakers. 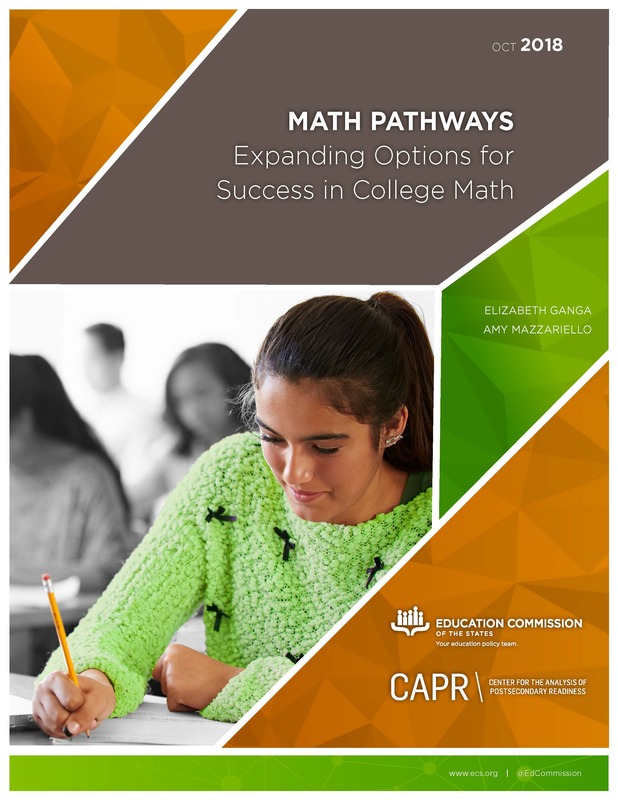 The second is Math Pathways: Expanding Options for Success in College Math. More than half of public, two-year colleges now use measures other than standardized placement tests to determine whether students need developmental math and English courses. Students assessed using multiple measures are more likely to be assigned to and pass college-level courses than students assessed using standardized tests alone. 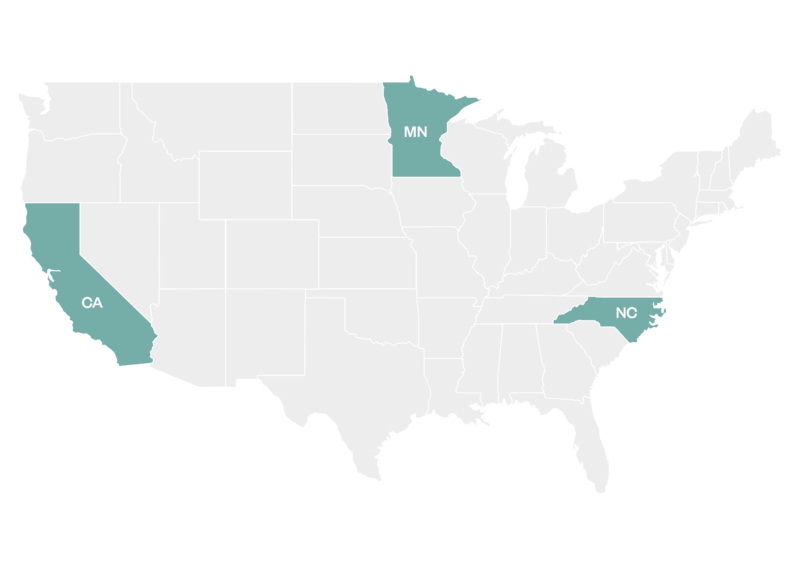 States are increasingly establishing policies mandating the use of multiple measures for course placement. This brief describes three math pathways models, lays out the evidence for their effectiveness, and gives recommendations for the effective implementation of math pathways. This brief discusses the importance of and challenges surrounding developmental education and suggests ways in which policymakers can address these challenges.